Mary Katherine Hirsh knew it was time for a new roof after she was evacuated from her home in November 2011 due to a firestorm sweeping through her Reno neighborhood. According to a local fire official, the original 42-year-old wooden shakes on her Country French style home were a tinderbox waiting to burn. Hirsh reports that the slate style suits her home’s design more than the original wooden shakes. She investigated slate options but rejected them due to the potential for cracking due to freeze and thaw conditions in her area. To complement the house, Hirsh selected the standard European blend from DaVinci, which includes light, medium and dark gray tones along with light and dark purple. One of the things that impressed Hirsh the most was the daily care and clean-up performed by the team at Fletcher Roofing and Siding. Careful draping of shrubbery, removal of debris and sweeping the yard with magnets to remove nails kept Hirsh happy during the five-week installation. “This was the first time we installed DaVinci tiles and it was an extremely easy product to work with,” says Luke Fletcher, owner of Fletcher Roofing and Siding, Inc. out of Reno. “Since finishing the Hirsh project we’ve done several other bids using this product. The aesthetic appeal of the roof is incredible, along with the authenticity of the slate. 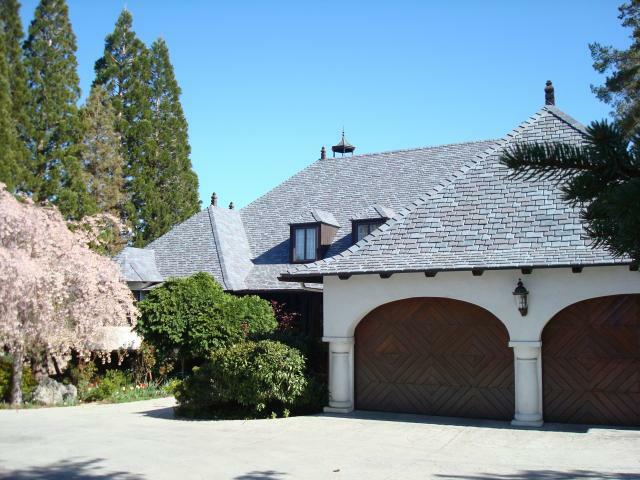 Visit our blog "Invest in Your Roof" to gain more information on the value of polymer roofing tiles.